I have recently come across one of the most marvelous accounts of what is wrong with the European Union, the Eurozone and the Economic Conservative Dogma. 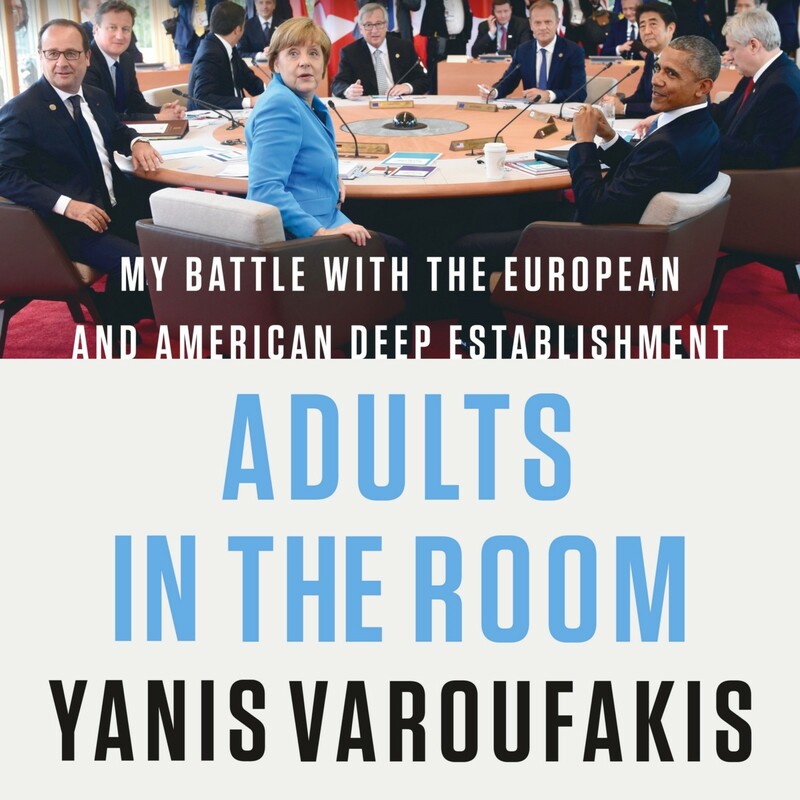 Yannis Varoufakis’s political thriller, “Adults In The Room: My Battle With Europe’s Deep Establishment” is a must read, having been consecrated by the Guardian as «one of the greatest political memoirs of all time«. The former Finance Minister of Greece also provides a number of underlying very important lessons, some which are steadily leaving our collective consciousness, especially as economic growth, while meagre, returns to the Old Continent. Despite his Maverick-style and radical image, the author tells it like a Gentleman. He offers a full portrayal of any character who played a meaningful role during this time in office, but plays fair. Of course, he does not refrain from denouncing his starkest political adversaries, such as former German Finance Minister, Wolfgang Schäuble. But when credit is due, he concedes great admiration to other ideologically opposed adversaries, like IMF’s Christine Lagarde or Angela Merkel. However, as Dumbledore, Hogwart’s Schoolmaster, once stated: “It takes a great deal of courage to stand up to your enemies. But a great deal more to stand up to your friends”. Hence, it is more encouraging that Mr. Varoufakis does not hesitate to point at the unfulfillable promises and mistaken moves that SYRIZA, the Greek united radical left, made during the whole ordeal. Perhaps most importantly, he refrains from conveying the paranoic message, so present in the European left, that the whole crisis was a well-organized plot from beginning to end which was organized to enrich a few. Rather, the impression is that it is the result of a faulty system, where conservative economic thought has been given the upper hand and opportunistic politicians have been able to comfortably push forward their agendas at a great social cost. The economic lessons in the book also provide a cure for those who still believe the naïve idea that economies should be run like a “thrifty Swabian housewife”. Mr. Varoufaki’s book is meant to be read in gloomy terms, to be in shock while having a sneak peak in the establishment. Nonetheless, reading the account of a pragmatic but true leftist and Keynesian economist, all while knowing his work is not done in the political scene, should give hope and pride to any European.